Her face scrunched up as she glowered at him. Part of him liked putting her off balance, but this was too serious a discussion to get distracted. She poked a finger into his bare chest and he growled. He opened his mouth then snapped it shut. She was utterly certain of that, he had no doubt. She stepped around him, jerking the cart after her. One of the wheels ran over his foot but he ignored the quick nip of pain. He stared daggers into her back but she simply waved him off with a one-fingered salute. His. She was his in a way he was just beginning to understand. And to appreciate. To read more, here’s where you can find the book! 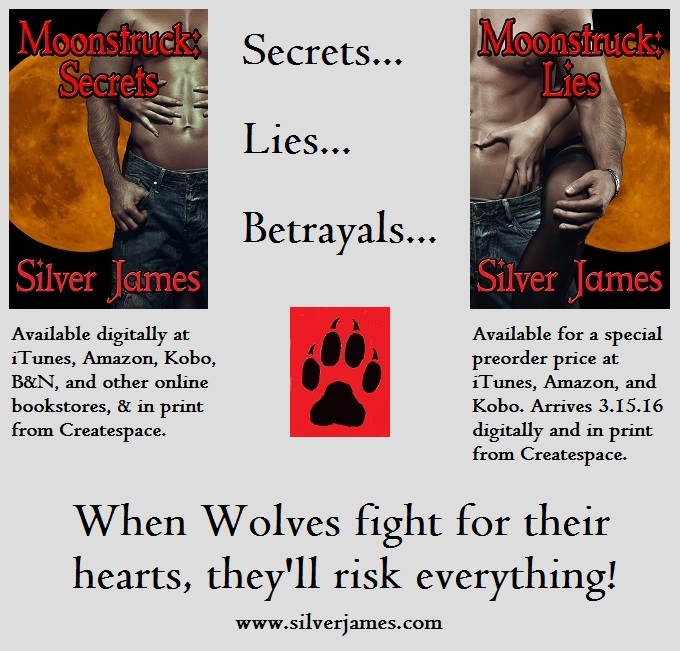 This entry was posted in Books, Writing Life and tagged #1lineWed, Amazon Kindle, books, links, Moonstruck, Moonstruck: Lies, new release, snippet, Wednesday Words, writing. Bookmark the permalink. SQUEE! I love these characters so much! Now? Well, here’s a snippet from my new release, too. That’s about as now as I can get this morning. “Ready to be djinn again?” I said as I arrived with Michael in tow. The big white dog lifted his head. “You have no idea how ready I am,” he said and I thanked the gods my wish to translate dog to human was still in place. The three of us already on two legs made a triangle around the dog, clasping each other’s hands and whistling the Frankie Valli song in three part harmony. My power coursed through me, merging with Basil’s and Michael’s. As soon as our triad pulsed, we let the wish go. All our energy consumed Major, turning him into the biggest light bulb ever. Within moments, I couldn’t look directly at him. I wasn’t sure which one of us let go first. I found myself sitting on the floor. Mena’s transformation into a dog had drained me, but this was like I’d run the Boston Marathon, forwards and backwards. As I slid into unconsciousness, a big, wet tongue slid across my cheek. Nothing quite like doggy kisses to wake a gal up. DOGGY KISSES!!!!! *squeeeeee* LOLOL I ❤ this book and Major and Jo and Zeke and…and… Thanks for sharing. This was a great snippet!